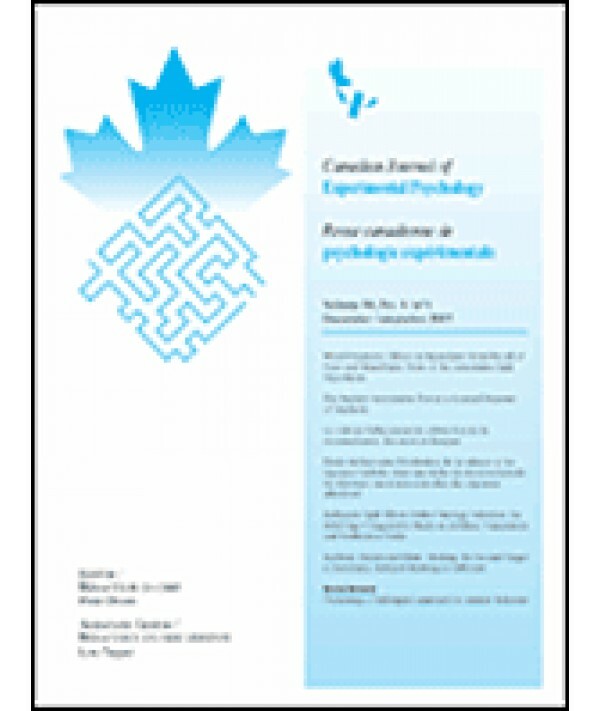 Canadian Journal of Experimental Psychology - Philippine distributor of magazines, books, journals, etc. The Canadian Journal of Experimental Psychology publishes original research papers that advance understanding of the field of experimental psychology, broadly considered. This includes, but is not restricted to, cognition, perception, motor performance, attention, memory, learning, language, decision making, development, comparative psychology, and neuroscience.